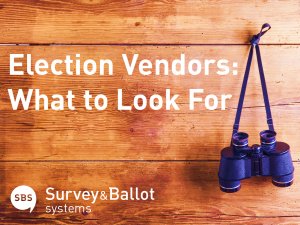 Many organizations continue to use a third party vendor to manage their voting events. You may be wondering what a vendor can provide that an organization cannot do itself? What are important factors to consider when choosing a vendor? Find out answers to these questions, while learning more about the world of election service providers by viewing this webinar recording. Click here to see the full recording!